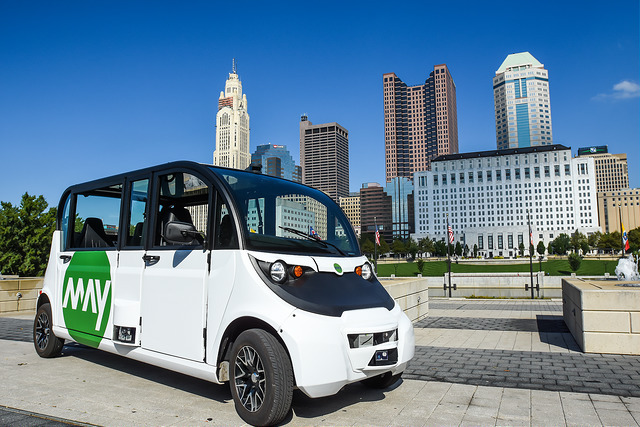 With self-driving shuttles already deployed along the downtown Scioto Mile loop, the drive toward smart mobility in Columbus is only gaining speed. And the Institute for Materials Research (IMR) and DriveOhio are hosting an opportunity for undergraduate students at The Ohio State University to help pave the way for on-campus autonomous and connected vehicles at the upcoming INNOVATE-O-thon, running Nov. 9 to 11. INNOVATE-O-thon is a weekend-long event that challenges undergraduates to work with each other, as well as faculty, industry and government representatives to solve real-world problems. Several times a year, a selected organization’s representatives come to the IMR Innovation Lab and challenge undergraduates from various majors to dissect a problem, and then devise and propose a suitable, executable solution to some of those representatives, faculty members and other subject matter experts. 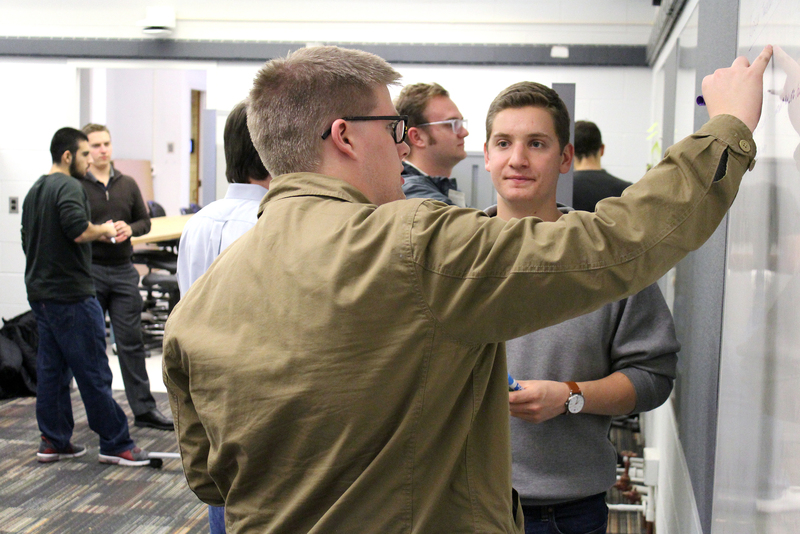 This semester, IMR is asking students to help shape DriveOhio’s technology strategy by imagining a future with autonomous shuttles on the Columbus campus of Ohio State, and then build a value proposition for a project of that scope. DriveOhio is an initiative of the Ohio Department of Transportation that works to advance smart mobility in Ohio. The center helps facilitate and coordinate the many efforts of public and private entities involved in the design, development, testing, use and regulation of autonomous and connected technologies. “This is an exciting opportunity for students to directly contribute to the early stages of planning for deployment of self-driving technology on campus. We’re really looking forward to hearing what ideas and insights the teams come up with,” said Rich Granger, Managing Director of Workforce Development at DriveOhio. Representatives from Smart Columbus and the Center for Innovation and Entrepreneurship will join DriveOhio that weekend. The event is cosponsored by DriveOhio, the College of Engineering and the College of Arts and Sciences. In 2016, Columbus won the Smart City Challenge, earning $40 million in grant funding from the U.S. Department of Transportation, as well as a $10-million grant from Paul G. Allen Philanthropies. With that seed funding, Columbus was dubbed “America’s Smart City,” a designation bringing with it the challenge to reinvent mobility in the capital city and serve as a model for connected urban areas of the future. Now, the first self-driving shuttles are hitting the roads of downtown Columbus. The low-speed vehicles are currently making their way around the Scioto Mile in a series of test runs before passengers begin boarding in December. On Oct. 30, IMR hosted a brainstorming session with student organizations IRIS and Smart Campus to better define student needs and expectations for on-campus transportation. The results showed a wide range of mobility challenges in a campus setting. The upcoming INNOVATE-O-thon will take this exploration of students’ on-campus transportation needs one step further by locking down the benefits smart mobility might offer. Opportunity to engage with representatives from DriveOhio, Smart Columbus and Honda R&D Americas, Inc. If you have any questions, you can contact Kari Roth (roth.570@osu.edu). This entry was posted in Events, News by mhuson. Bookmark the permalink.